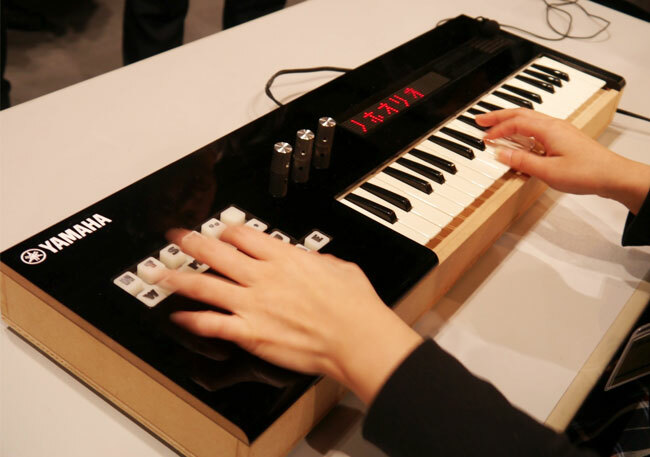 Yamaha has developed a new style of keyboard which has been created to also sing. The new Yamaha Vocaloid Keyboard is equipped with a extra set of 16 keys which can be used to control consonants, vowels, and the two types of voicing marks. The Yamaha Vocaloid Keyboard now makes it possible to synthesise singing using just hardware. Watch the video after the jump to see the Yamaha Vocaloid Keyboard in action.